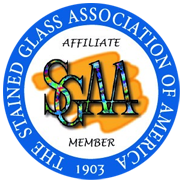 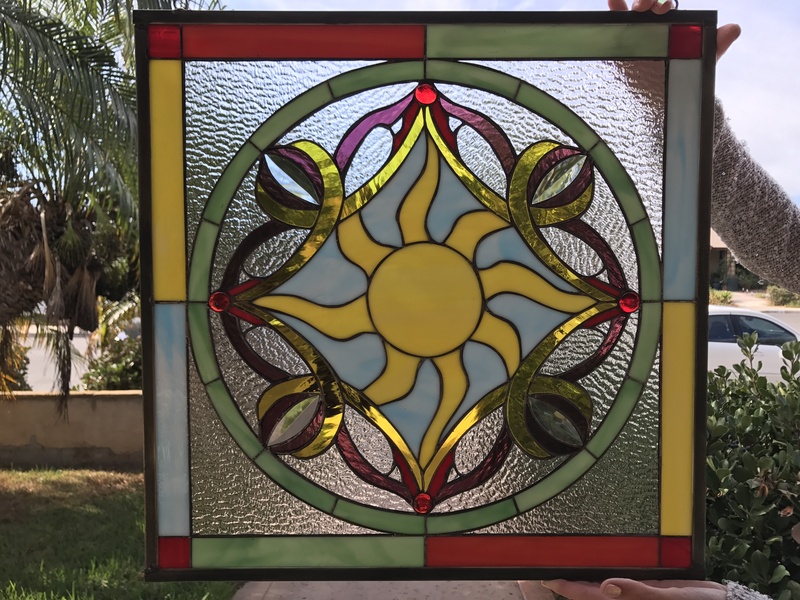 Let the sun shine in with our awesome sunburst leaded stained glass window panel. 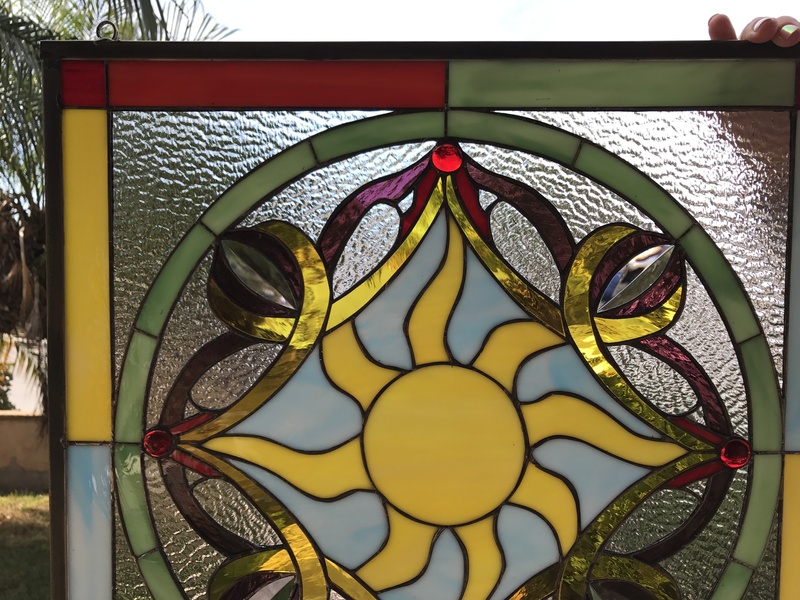 No matter the weather, this artful sunburst brings with it a lemony light that adds cheer to your favorite room. 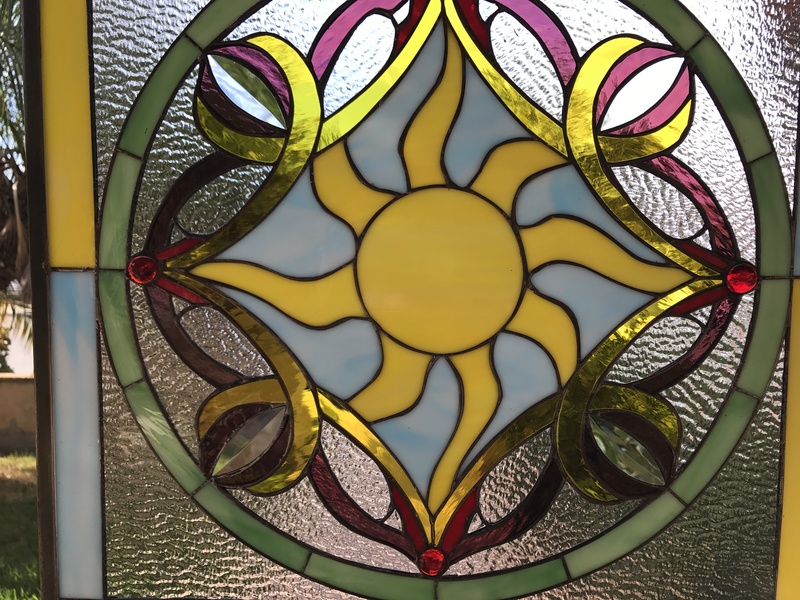 Surrounded by an almost floral pattern and encased with a colorful border, you’ll find yourself in a sunny mood every time you see our sunburst!